So it's Wednesday and I'm doing a weekend recap... needless to say, I had an EXTRA long weekend. It was wonderful (not as wonderful as the fact that I now have a three day work-week because of it. I LOVE that feeling). Saturday night Sam and I went on a double date with Danica and her man B. Last week I took the plunge and a) finally let Sam color my hair for the first time and b) went dark, which I haven't done in quite awhile. Saturday night was my first time curling it and since going dark it's so much healthier and softer it was actually REALLY hard to curl! The color took a little time to get used to but it's definitely growing on me. The four of us went to go see "What to Expect When You're Expecting" and B showed up repping my family's company! Haha. I sent the pic to my mom and dad and they loved it. Sunday night Sam and I headed out to my little piece of heaven on earth, my parents vacation home in Indio. We met up with my parents, my brother and his girlfriend out there. Tell me you wouldn't want to spend every day here? My parents bought some paddle boards and some new kayaks for the house. The weather was so perfect. I had never been paddle boarding before. I am pretty embarrassingly uncoordinated but it really wasn't hard at all! I really enjoyed it and can't wait to do it again! How cute are my parents? I swear they're cooler than me. After spending most of the day in the pool, paddle boarding and kayaking around the lake, around dusk we all got into the boat for a little wakeboarding. My dad had bought a new board and new bindings that we needed to test out. For as long as I can remember my brother has been good at pretty much anything he has tried, wakeboarding being one of them... as you can see. My brothers girlfriend decided to try it out for the first time and she got right up (like I told her she would). With the sun setting behind her and the water like glass, it made for some gorgeous photos. This little guy was another great part of the weekend. My brothers dog Griffin AKA "Griffy" is one of the most chill, fun dogs. I always love getting to see him. Sadly the only photos I have with Sam are after several Coronas and a long day in the sun. This is the best I got with him "trying to open his eyes" for the photo. Haha. It was a wonderful weekend of sun, fun and family. Of course the reason that we had such a long wonderful weekend was because it was Memorial Day. A day set aside to remember the brave men and women who have died while serving our country. 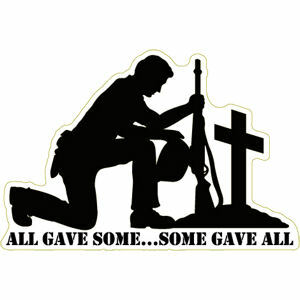 The sacrifices they have made have given us the rights and freedoms that we have today and are immeasurable. Words really can't express my gratitude. I hope that everyone had a happy and safe Memorial Day weekend. Best part of the post was the pic of Griffy... hands down. That looks like an INCREDIBLE weekend!!! I tried paddle boarding in Cancun and thankfully I got the hang of it. My dad claims to be buying one soon...we'll see! BEAUTIFUL pictures!